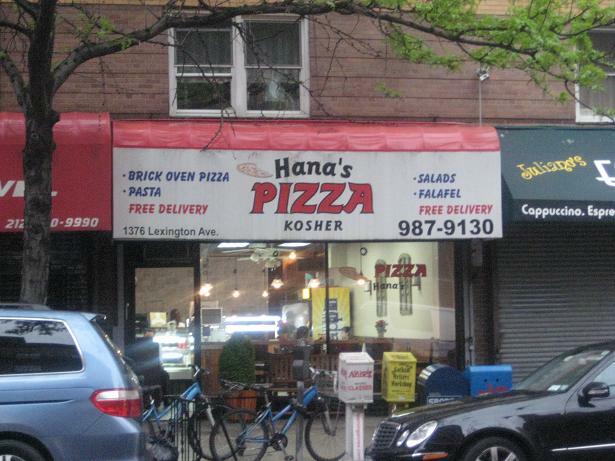 Hana’s Pizza | Thanks a Glatt! The first thing I noticed when I entered was that the place has gone under renovation since I was last there. 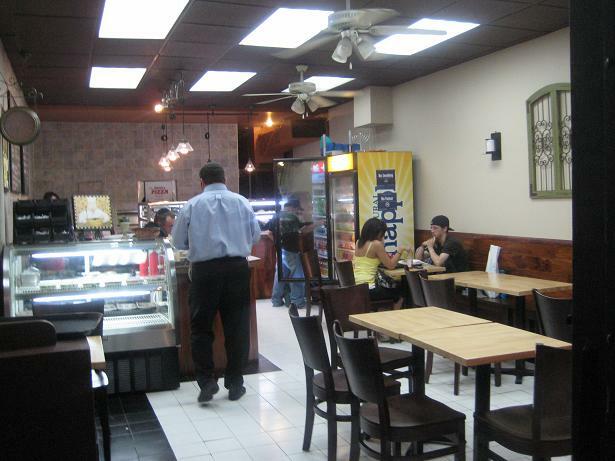 It’s up to par with any other pizzeria in NY, nothing too fancy but nice, clean, and new. The second thing I noticed was that it was quite empty. This was 6:30 on a week night? One would think they should have more customers at this time. By the time I got my food I was the only one in the store for a good 15 minutes. I ordered two cheese slices (@ $3 each) – I have decided that the best way to review a pizzeria is to only go with the cheese (unless they have some amazing speciality slice). On a side note I have also decided that I personally need at least two slices of pizza a week in order to survive/function in life. The slices were good. They make them more on the crispy side which is not my favorite but still tasty. The cheese was also “harder” and not the kind of cheese that is gooey. Again, not my favorite but still succifienct. The sauce is also kind of sweet. 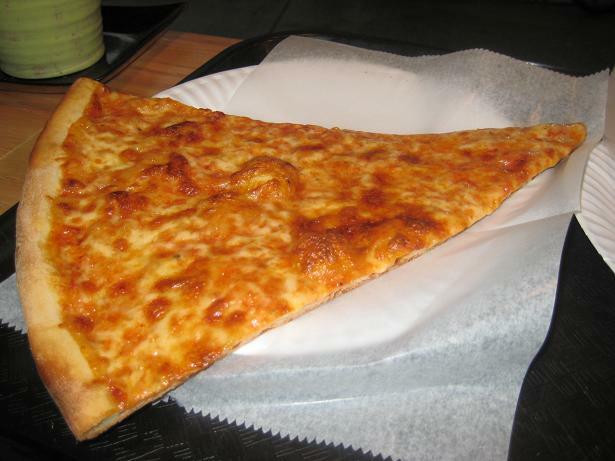 I’d say that it falls in line as being a good, typical slice of new york pizza. Nothing special, but still good if you are in the neighborhood. The variety of other slices on the counter is pretty good. If I recall correctly I remember seeing a green olive, veggie, white, and Sicilian. The last time I was here I got a veggie slice and it really hit the spot. Their menu is pretty basic in that they offer a few salads/pasta. Thank Hashem that they do not throw a sushi restaurant into the corner like most kosher places will try to do. The salads are all pre made and looked kind of old/lame. They should make fresh salads – people like that and it isn’t that much more work. It was a decent meal on a regular night and I was happy until I went to pay. Me – 2 cheese slices. Me – its pretty annoying. This really annoyed me. No where on the menu, either the take out one or on the wall, did it state that sales tax was additional. I would go as far to guess that in 99% of pizzerias, when the price is $2, that’s it, two bucks, no more, no less. The ST is included, none of this extra BS. And if it was extra they at least have the courtesy of writing it somewhere. I think was a total gouge to get an extra 50 cents out of me and I would guess this is a reason people do not come here. At $6.50 for average pizza plus around 1.50 for a coke you are looking at around 8 dollars for a pizza dinner, which is too much even if you are on the upper east side. Overall like I said average. If you are hungry and in the hood check it out, but be wary of the extra sales tax they might throw in.